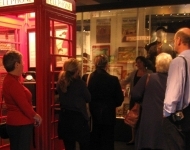 The 2011 AGM was held on 10 May at Melton Carnegie Museum. 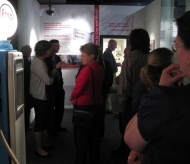 The museum reopened late last year after major investment in new displays and facilities, and it proved to be a superb venue. Following the officers’ reports we were brought up to date on the two large RMN projects currently underway. Catherine Wilson reported on the ‘Digging Deep’ ploughs project following circulation of the questionnaire. Hilary McGowan spoke about the ‘Ten Years On’ review of the rural museums sector. She presented the results and initial findings of her membership consultation. This was followed by group discussions on the future of the Network that Hilary will include in the final report. After the AGM we toured the excellent new galleries at the museum and heard from Jenny Dancey about some of the interpretive and design considerations that underpin the new displays. Many thanks to Jenny and other staff at Melton Carnegie Museum for a really good day.